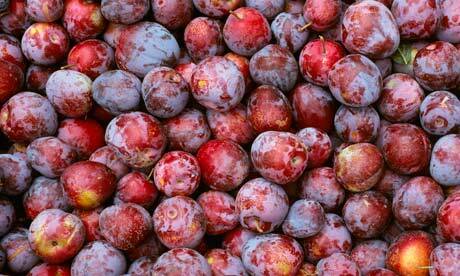 looks after 370 types of plum. A backlash over this summer’s wildfires has derailed plans to redevelop the unique open-air gene bank established by the botanist Nikolai Vavilov outside St Petersburg. The Vavilov gardens sprawl down an exposed, gently sloping hill: 500 hectares of fertile soil planted with fruit trees, berries and flowers. This haven of biodiversity is located near Pavlovsk, about 30km south of St Petersburg, the site of a palace where tsar Paul I (1754-1801) liked to spend the summer. Hidden behind rusty fences and rampant weeds, the garden with its 12,000 plant species is an extraordinary place. It is the “open-air gene bank” for the Institute of Plant Industry founded in 1926 by the geneticist Nikolai Vavilov and based in St Petersburg. But this unique collection is under threat. A federal housing agency is waiting impatiently for permission to auction off 91 hectares of the precious land, which should sell for about $33m. Developers are eager to make a killing by building cottage-style homes for rich buyers. my collection of plum trees,” says Olga Radchenko, a slim woman with spectacles, wearing a lab coat and gumboots. Each scientist at the gardens is in charge of a collection. Radchenko takes care of 370 different varieties of plum. From her home in the city she has a long journey to work every day (two hours by bus, subway, suburban train and another bus). Her colleague Natalia Poupkova is responsible for 300 types of gooseberry, and Olga Tikhonova looks after 1,000 varieties of blackcurrant. Enthusiasm is a key factor here. The wages are pitiful, averaging about $270 per month, equipment is scarce and the administrative building are almost a ruin. City people joke about the botanists and geneticists at the institute being prepared “to fork out to be able to work there”. Public opinion has recently started to take an interest in the fate of the Pavlovsk gardens. The scientific community, at home and abroad, has also started to make itself heard, with petitions sent to President Dmitry Medvedev. Watched by the cameras of leading television channels, the officials’ big German cars drive up in a cloud of dust. “Here they are! Are they going to look at the collections? Shall we go too?” one woman asks. Her fellow workers tell her to keep quiet as the officials enter the building. In his office on the first floor Fyodor Mikhovich, the manager of the gardens, is beside himself. He has just returned from Moscow where he had a meeting with the president at the Kremlin. “He told me I should stick to my guns and he’d support me. He suggested I insist on the need to transplant the collections, which would take 10 to 15 years,” Mikhovich says excitedly. Legally speaking, it is quite legitimate to sell part of the land. Under Soviet law there was no concept of land ownership as such and the gardens were entrusted to the institute for its use. In 1995, the state recovered the land, conveying it much later to the housing agency. The scientists at Pavlovsk, their eyes glued to their plants, seem to have been oblivious to this turn of events. In August, a court of arbitration ruled that the agency was legally entitled to take over the land. But by the end of the month the tide had changed. It all started when Medvedev posted a message on Twitter. Now the auction has been postponed. The idea of scattering houses all over the gardens seemed particular inappropriate in the wake of the unprecedented fires that engulfed much of Russia this summer. Between June and August, 13m hectares of woodland was destroyed, reducing countless trees, plants and flowers to ashes. Now scientists and conservationists are campaigning to permanently preserve the gardens. “We are hoping against hope. With money like that at stake we just don’t count,” Poupkova says. The man who wanted to feed the world Nikolai Vavilov was born on 13 November 1887 into a family of well-off Muscovite traders. After studying at Moscow Agricultural Institute he made many botanical expeditions to Europe, the United States, Latin America, Iran and Ethiopia. In 1921, he was appointed head of the (then) Petrograd Agricultural Institute. Realising the importance of biodiversity he set about creating a massive seed bank for wild and cultivated plants. But in 1933 further foreign travel was banned and he was accused of supporting the bourgeois science of genetics. His work was criticised by a former pupil, Trofim Lysenko, who was close to Stalin. On 6 January 1940, in the course of a journey to Ukraine, Vavilov was arrested. He was tried and condemned to death, but the sentence was changed and he was imprisoned at Saratov (on the Volga), where he died of hunger on 26 January 1943. His body, which was thrown into a common grave, has never been found.